As stated in above hadith, the first occasion of breaking fast (iftar), is really joyous for Muslims. Special preparations are made at home for iftar, relatives and friends are invited, people give a lot in charity and public iftars are often held at mosques or at public places with the help of donors. 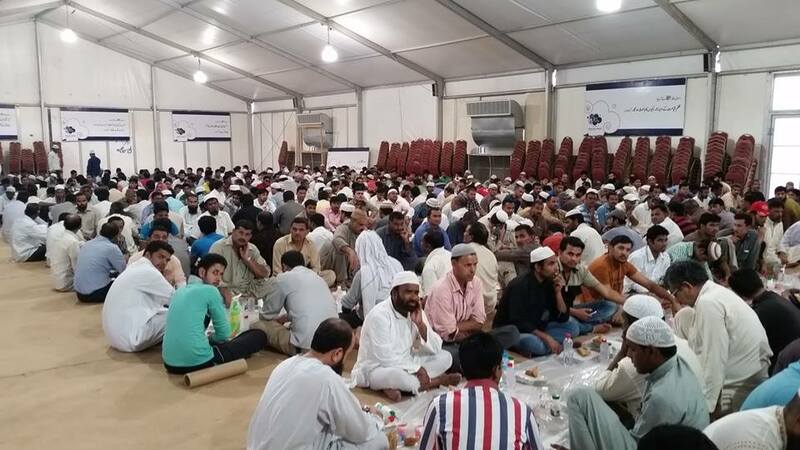 However for me, it was first time to attend a public Iftar here in Khobar, Saudi Arabia. People from various nationalities were in gathering with one thing in common, all were Muslims gathered for iftar and pray together. 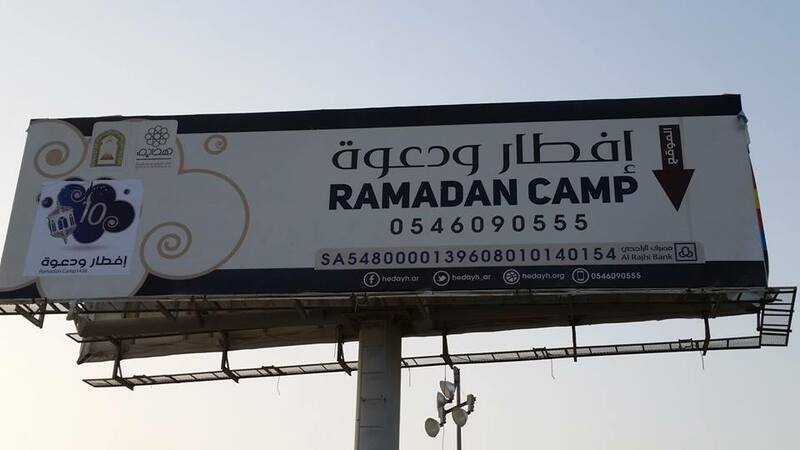 It was biggest Ramadan Camp in Khobar. 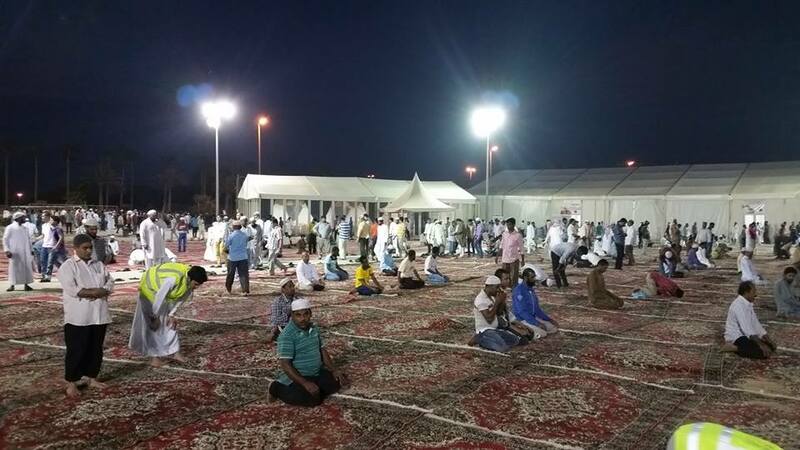 A gathering and free iftar for almost 5000 persons per day, everyday. 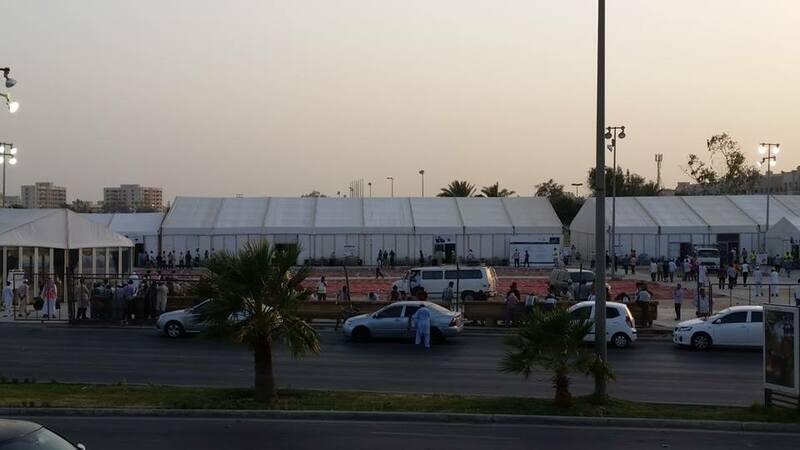 There were several camps each accommodating around 1000 persons. Inside view of a tent. The camps were separated based on spoken languages. In each tent, an Islamic scholar was giving sermon in that specific language. Since I was Pakistani (national language Urdu) so I went to Urdu section. But to my surprise, there were more Indians than Pakistanis. It is interesting to note that script of both Urdu and Hindi languages is totally different yet in speaking both are somewhat similar. 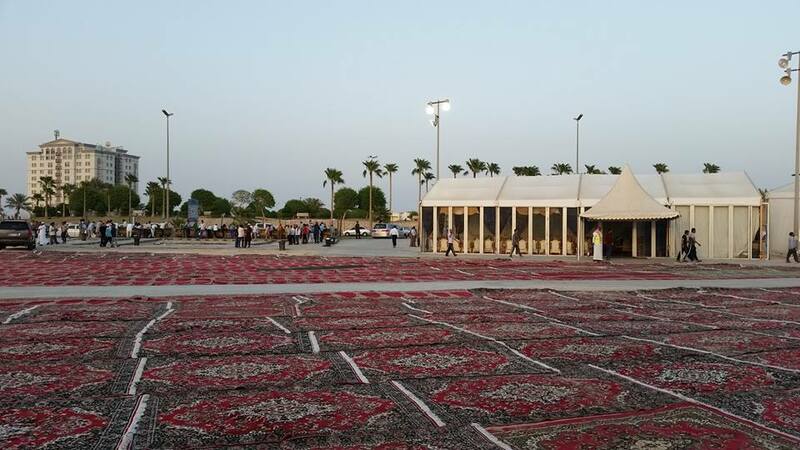 The area outside tents was allocated to offer Maghrib prayer. People returning to their homes after offering Maghrib prayer. 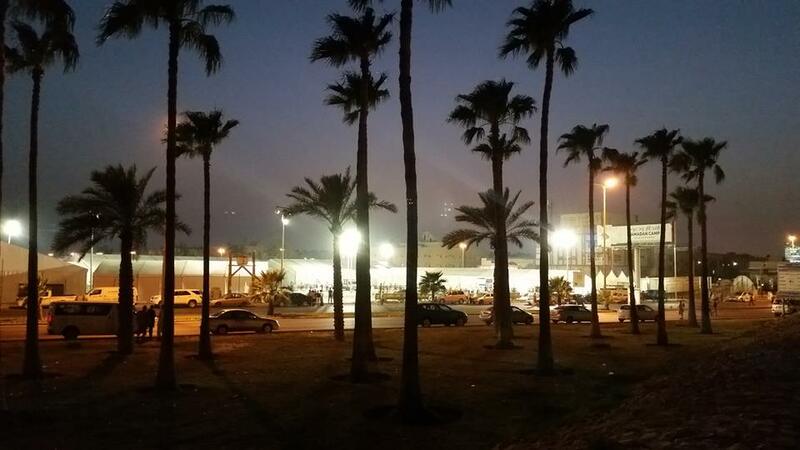 Across the road view of Ramadan camp in evening. Back in Pakistan, I mostly do iftar at home or invited by relatives or friends. I have been in Saudi Arabia for last five years and have done iftar numerous times at Masjid Al-Haram (Makkah city) and Masjid Al-Nabawai (Madinah city) which are the largest iftar gatherings in Saudi Arabia and perhaps in whole world. However it was first time for me to go to such Public iftar and it was definitely a nice experience.